What are your favorite military discounts to use on your summer vacation? Summer is almost here and that means vacation time is quickly approaching. Save money, time and frustration by planning ahead and taking advantage of military discounts on summer fun. You’ll be able to make the most of your summer with these great military discounts. Here are a few military discounts you don’t want to miss this summer. Adventure Island Tampa: Free tickets are available for active duty military and their families; veterans get half off tickets as well. Aquatica San Diego: Active duty military families receive free tickets and veterans get half off tickets. Busch Gardens: Active duty service members and up to 3 dependents get complimentary admission once a year. You’ll need to fill out a form online and bring it to the ticket counter with your military ID to get your actual pass. Don’t wait in line at the gate like I did only to find out you have to go back to the ticket counter! SeaWorld: Free tickets are available to active duty service members and their families. Veterans get a 50% discount. Sesame Park Place: All active duty military families can get free tickets and veterans receive a 50% discount. Have you taken your family to Disney yet? Walt Disney World Resort: Disney is currently offering 3-day military park hopper tickets for $132. See your base ticketing office for details. Blue Star Theatres: Military families and veterans can enjoy free admission to over 100 theatres around the country. Water Country USA: Free admission is available for active duty military, reservists and National Guard as well as 3 direct dependents. Cedar Point: Enjoy $21 off regular admission for all active duty, veterans and their families. 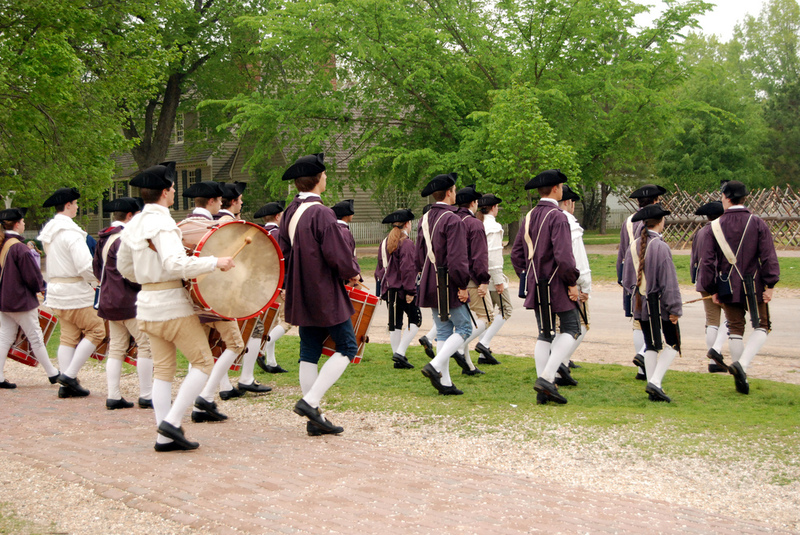 Colonial Williamsburg: Admission is free for military families May 22-25, 2015. Visit your MWR/ITT office to purchase discounted admission tickets the rest of the year. Colonial Williamsburg is a great to visit. It’s educational and fun. Dollywood: Active duty, reservists, veterans and their families receive a 30% discount on one day admission. These tickets cannot be pre-purchased and can only be purchased at the front gate of Dollywood or Dollywood’s Splash Country. King’s Dominion: Free admission is offered May 23-25 and July 4-5 for all active duty and retired military. Active duty and veterans are eligible for discounted tickets, up to 6 with each ID, at the gate throughout the year. King’s Island: Free admission for military personnel May 22-25 and July 3-5. Active duty military receive discounts for themselves and up to 6 others by showing their ID at the gate throughout the year. Lego Land: Active duty military get a free one day pass and friends and family receive a discount on admission at the gate. Six Flags: Most military bases offer discounted admission tickets. Check with your MWR/ITT office. Universal Studios: On-site hotel vacation packages and discounts on admission tickets are available for military families. Contact your MWR/ITT for details. Great Wolf Lodge: All active duty service members receive 20% discount and free admission to the water park with their stay. Museums: Many museums across America including: Museum of Modern Art in New York, the George W. Bush Presidential Library and Museum in Dallas, the Southwest Florida Military Museum in Cape Coral and the USS Midway Museum in San Diego offer free entrance or discounts for military families. Movie Theaters: Many theaters offer military discounts, usually the same price as a senior or student ticket. You’ll need to use the actual ticket counter to get them and to show your ID. Summer Camp for Children: Many camps across the country are free or discounted for military dependents, particularly if one of the parents is deployed. Check with your local camps. Major League Baseball: The league offers discounted tickets to many games and each team also has a specific military appreciation day. Check with your favorite team for details. There are so many fun, exciting and educational things to do with your family this summer and saving money while having fun is always a bonus. If you didn’t see a particular theme park listed here that you are planning a trip to this year, call ahead or check their website for military discounts. Many businesses around the country offer some type of military discount; all you have to do is ask. What are your favorite military discounts? Tell us in the comments section.